In some art categories, building an investment-grade collection is impossible for all but the wealthiest. Here's a medium where prices are reasonable and profits achievable. Glass-art collections can be smart investments, one expert says. Your art-collecting clients are likely to pick up helpful but hard-to-follow advice on building their collections. “Buy the highest-quality objects you can afford” is one adage they’re likely to hear. But that guidance makes sense, because it’s often the top end of markets that attracts wealthy collectors and offers the greatest potential for long-term price appreciation. “Build your collection around a theme” is another piece of oft-repeated advice. This, also, is helpful, since a collection with a thematic structure can provide investors with greater aesthetic rewards and may attract a wider audience of potential buyers than non-themed collections. For some fine art categories, though, implementing this advice is almost impossible for all but the wealthiest collectors. Most clients can’t afford to build collections of six- and seven-figure contemporary art pieces, for instance. One way to reconcile the conflict is to focus on collectibles with wider price ranges, such as glass art, that still provide investors with the pleasures of collecting and also have potential for profit. Collecting glass art in earnest has been popular since the 1970s, according to Nicholas Dawes, vice president of special collections with Heritage Auctions in Dallas. This market is dominated by Americans, says the expert, who has written “Lalique Glass” and other works on the subject. Dawes, who focuses mainly on glass art from the Art Nouveau and Art Deco periods, between around 1890 to the late-1930s, points to Louis Comfort Tiffany and René Lalique as two of the best-known makers of glass art. There are several benefits to collecting glass art, he says. First, it’s popular, with numerous collectors and international museums, with many books dedicated to the leading artists’ works. In addition, collecting can be the focal point of educational vacations, as some Lalique and Tiffany collectors center their European vacations on glass hunting and museum visits, according to Dawes. Furthermore, collectible glass is a diverse field. There are decorative pieces as well as numerous functional items, for instance. 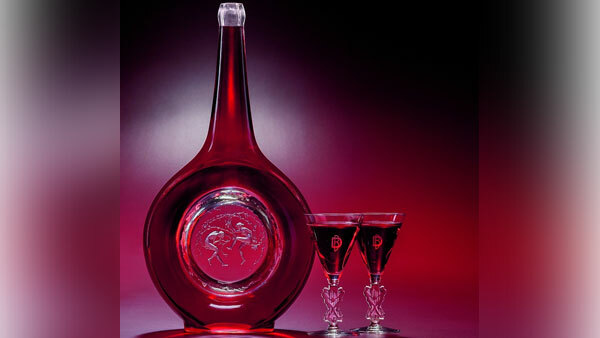 An upcoming Heritage auction will include Lalique clocks and wine decanters. “Rene Lalique designed, I think I might say, about 25 clocks in his life, and we have all but two or three of them,” explained Dawes, in an interview with ThinkAdvisor. Furthermore, the expert adds, the price of glass art is reasonable: At least 80% of the roughly 250 lots in the upcoming Heritage auction are priced less than $1,000 in estimate. Prices also tend to be less volatile than other art types, and many collectible pieces are affordable alternatives to today’s mass-produced items. “You can go to Bed and Bath or IKEA and buy a wineglass for $5. But here you can buy a Lalique one for under $50 and it’s made in the 1920 and ‘30s,” he said. The same principles of successful collecting in other categories apply to glass art, Dawson points out. Collectors need a strategy to determine how much they want to budget for their acquisitions, how much space they have available to store and display them, and how they ultimately plan to part with their collections.